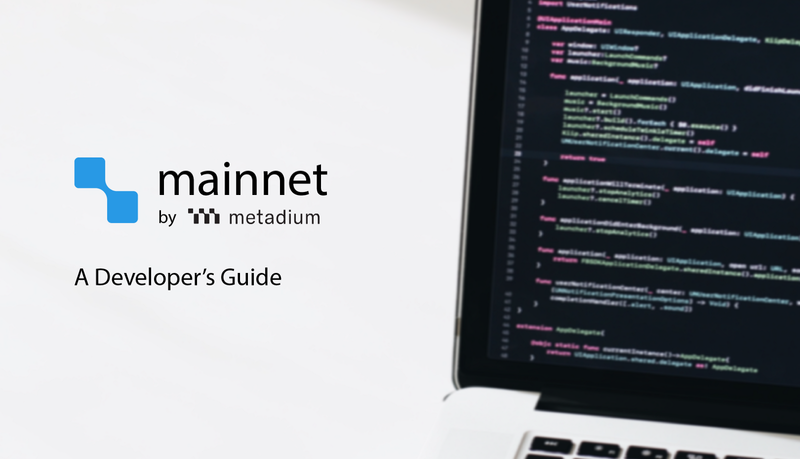 As promised, we share a guide for developers who are interested in learning how to setup and use Metadium blockchain client, gmet, block explorer, and Open API server. Our roadmap for the mainnet presents Meta ID service infrastructure, Keepin App which will support Meta ID, the SDK for Keepin on Android and iOS, and Google Chrome Extension for Metadium Wallet by 2019 Q2. By the third quarter of this year, we would like to improve decentralization of the management of governance. Our material will guide you through downloading go-metadium at github; building go-metadium and executing a gmet; generating your own address; running a gmet node; sending/receiving META; deploying your own smart contract and interacting with it; and, using Metadium Blockchain Explorer to check anything related to blockchain data. The Metadium blockchain explorer can be found at https://explorer.metadium.com for Mainnet and https://testnetexplorer.metadium.com for Testnet. It displays information about activities on the blockchain and shows transaction history and block details. As for the status of our testnet Kalmia, we have reset all testnet data and deployed new version of Metadium Testnet (Kalmia v2) on Mar 18, 2019. META holder may send transactions, create contracts and much more. We will release specifics for a bug bounty in the near future. In order to provide feedback or report any bugs for Metadium Blockchain, please email us at tech@metadium.com or join our community channels on Facebook, Telegram and Medium. We encourage you to get involved and explore our blockchain. As always, let us know your thoughts and we look forward to keep improving the Metadium blockchain. Follow us on Medium, Facebook and Twitter, and join our Telegram Group to receive the latest updates. Download our Keepin application on the App Storeand Google Play.